Editor and trends expert, Cynthia Unninayar, presents "The Dozen Dominant Design Directions for Fine Jewelry in 2017." Ewa Wagner-Wysiecka, (Professor, Gdansk University of Technology, Poland) discusses "Amber vs Copal in Mid- and Far-IR Spectra – A Useful Tool for Gemstone Characterization." Jayshree Panjikar, left (Panjikar Gem Research & Tech Institute, Pune, India) presents Meenu Brijesh Vyas (Gem Testing Laboratory, Jaipur, India) the award for the winning poster, which described "Green Spinel from Afghanistan." Left to right: Pornsawat Wathanakul, Henry Ho and Didier Girard announce a global Ruby Symposium to take place in the Fall 2017. Kentaro Emori, Central Gem Laboratory, Tokyo, Japan, discusses the "Identification Between Natural and Synthetic Amethyst Using Discriminant Analysis." "Uncle" Tho Chai, of GIT, announces the five winners of the Loy Krathong auction. From left: Pornsawat Wathanakul congratulates Barbara Wheat and Ioannis Alexandris on their winning bid (for charity) of a decorated krathong to be set afloat for the Loy Krathong festival during the GIT 2016 gala dinner on November 14, under the Full Moon. The Gala Dinner featured traditional Thai food, outfits, and music along with the auction for five beautiful Kratongs to raise money for a water conservation charity in Thailand. Evoking the importance of the Full Moon and the Unity of the global gems and jewelry industry, the GIT 2016 conference kicked off to an enthusiastic crowd of some 500 participants and guests. In his welcome address, Siripol Yodmuangcharoen, Chairman of the Executive Board of GIT, the organizer of the event with the support of the DITP, gave some background about the Thai gem and jewelry industry—the third largest in terms of Thailand’s exports. His talk was followed by Dr. Pornsawat Wathanakul, GIT Director. She stressed the importance of this type of global meeting, whose goal is to improve international understanding and cooperation among researchers, scientists and major stakeholders, as well as to explore new methods and procedures in gemology. Describing the world of exotic gem cuts, Russian expert cutter, Victor Tuzlulov, kicked off the keynote talks with his presentation, The Fourth “C”: Today and Tomorrow. Next, U.S.-based editor and trends specialist, Cynthia Unninayar, discussed The Dozen Dominant Design Directions for Fine Jewelry in 2017. Her presentation featured the major design categories of fine jewelry for 2017 and their evolution. An informative discussion of Gem Corundum Deposits with Regards to their Geological Origin was given by Gaston Giuliani, Director of Research at the Institute of Research for Development (IRD) in France. Rounding out the keynote addresses, Rupak Sen, Sales & Marketing Director for Asia and the Middle East, Gemfields PLC, spoke about Coloured Gemstones - A Journey through Past, Present and Future. The many informative topics—both oral presentations and posters—were grouped into several categories, presented by an impressive list of experts from Europe, the Americas, Asia, Africa, the Pacific region and Greenland. 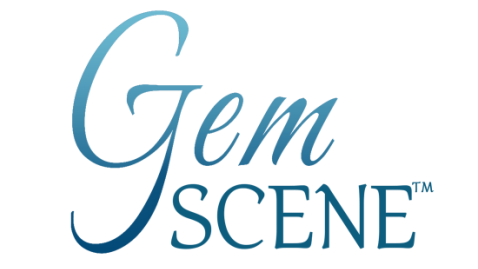 With 32 presentations, the largest category dealt with Innovation, Identification and Characterization in the gem world. With 15 discussions, the category of Gem & Precious Metal Deposits, Exploration and Responsible Mining was the second largest. ​ Some 25 topics fell into the two categories dealing with Treatment & Synthetics Update and Disclosure and Gem Quality Standards & Gem Optics and Color Science. Finally, eight presentations were featured in the areas of Jewelry Design, Manufacturing and Cutting-Edge Technology. Aside from the questions of authenticity and treatment, the most important decision a consumer makes when choosing a gemstone depends largely on its color. When it comes to rubies and sapphires, the three most popular color trade names are Pigeon’s Blood Red, Royal Blue and Cornflower Blue. Today, these terms are widely—and loosely—used by many gem labs, but there is no international harmonization when it comes to the exact color or range, regardless of whether the stone is heated or unheated. As a result, confusion arises. To solve this problem, the GIT began conducting extensive research on color communication in 1999 with the objective of establishing an industry standard for these color terms. Following this 15-year study, the GIT created three standardized master sets of ruby and blue sapphire to describe the famous colors. The sets are available to any lab that wants to use them, in the hope of bringing a semblance of standardization to the popular names, thus enhancing consumer confidence in the gem and jewelry market. A joint announcement by Pornsawat Wathanakul, Didier Girard, and Henry Ho announced the creation of an International Ruby Symposium to take place in the Fall of 2017 in Thailand, with a mini-symposium being conducted at the Bangkok Gems & Jewelry Fair in February 2017. The many informative poster presentations attract much interest from attendees. Myungji Ye, jewelry designer, Yemyungji brand, Seoul, Korea, talks about her designs inspired by Dynamic Art, Dynamic Nature (Mineral – From the Birth of the Universe to the Origin of Life). Arent Heilmann, Ministry of Mineral Resources, Nuuk, Greenland, describes "A Tugtupite Deposit in Greenland." Li Geng, School of Gems, China University of Geosciences, Beijing, discusses the "Cultivation and Market of Chinese Freshwater Cultured Pearls." Gamini Zoysa (left) and Ahmadjan Abduriyim discuss a poster. Barbara Wheat is on the right, describing her poster on Natural Fancy Color Diamonds. Tasnara Sripoonjan, of GIT, talks about "A New 'Purple Rhodolite' Garnet from Mozambique: Its Characteristics & Properties." GIT 2016 participants were able to experience Loy Krathong, one of Thailand's most picturesque festivals. Shown here, Olympia Liu Yimang releases her candle-lit Krathong into the water, watching it float along with many others, while making a wish for the future.